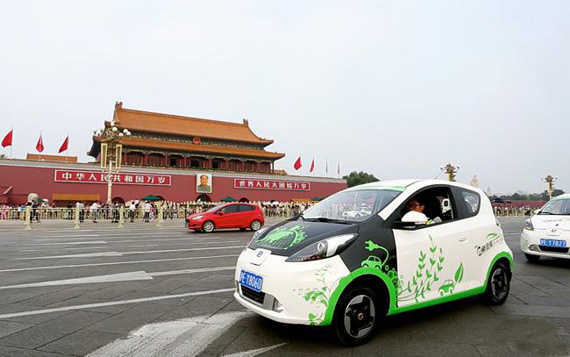 Beijing is aiming to gradually replace its petrol-powered taxis with greener new energy vehicles to help reduce air pollution starting from this year. The city currently has about 71,000 taxis in total, out of which 67,000 are conventionally powered. It has mandated that all petrol-and diesel-powered taxis being taken out of service must be replaced by electric or liquid petroleum gas (LPG) powered cars. Any new taxis should be electric or other types of new energy cars. The project is expected to cost taxi operators €1.2/US$1.3 billion before it is complete.